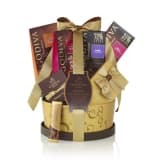 Godiva's Chocolate Celebration Gift Basket with Signature Ribbon - made to delight them all! 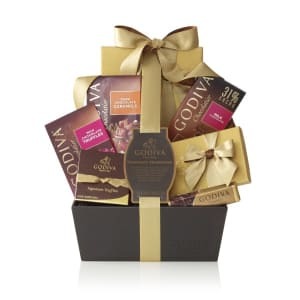 This lovely basket, filled with a collection of Godiva’s Signature Treats, is a wonderful way to show you care, and send your thoughts of sympathy. This gourmet selection arrives in a faux leather basket tied with a classic gold & brown ribbon. 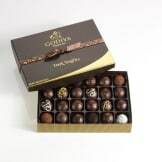 • Weighs 1 lb., 12 oz.